What about training for the initial exams? The best place to start is with the Salesforce Certification site. Find the link the link to the Study Guides to get an idea of what is covered with each exam. In the study guide there are some sample questions to test your existing knowledge to see if you are candidate for taking the exam. If not, you’re probably going to have to take a class. Most day-in and day-out Administrators are not going to get enough exposure to all areas of the platform to cover all the content on the exam. There are things you do in class that most Admins won’t have the opportunity to try out and configure in their day job – such as setting up a self service portal, making a web-to-lead form, creating auto-assignment or escalation rules, etc. Training classes are conducted all over the US in major cities. If the classes are like they were when I used to teach the 5-day Admin class, each class participant gets their own unique login to a Salesforce account (org) that has been prepped (partially configured) to assist with the training exercises covered in the class. If you can’t afford or get to a class, the next best thing to do to prep on areas you’re not currently familiar with today is to get a developer account – they’re free with a simple registration. After you’ve got your Developer Accounts – start exploring the different areas in Setup. Also, check out my How To page – some of this content is covered in the five day Administrator class! What else can you do? 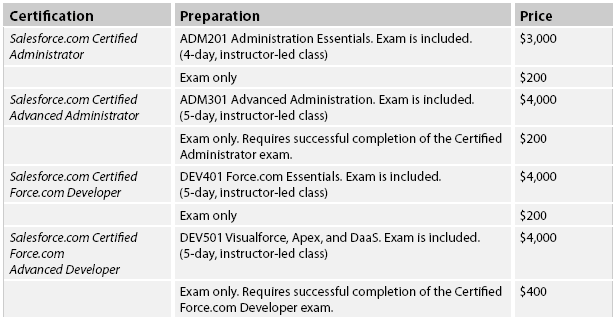 Well there are some practice questions out on the web at: http://forcecertified.com/ as well as a LinkedIn User’s group called: Salesforce.com Certified Professionals. That might be good place to see what people thought of the exams. 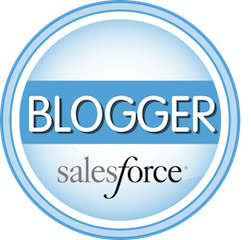 Here is a blog post that outlines some free resources you can use to prep for your Salesforce certification exam.